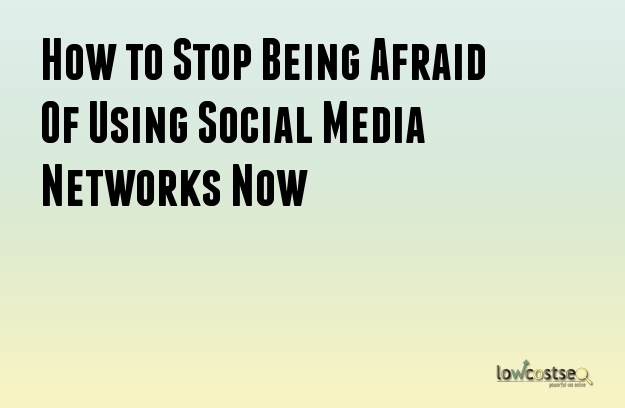 Social media networks are powerful tools but it is easy to find people getting stressed out by them. Anxiety is a common issue as there are a number of social media networks each of which have their own set of rules and benefits. You may have already got all the profiles in the different social networks readied. However, you are unable to progress any further as you are bombarded with all kinds of information about them. It can be difficult to start using these networks as you will certainly want the best results. After all, if you make mistakes in social networks, you can end up damaging the online reputation of your brand quite extensively. Why Are Social Networks Needed? Social networks can be powerful tools especially for small businesses when it comes to building brand awareness. They are also used to engage and interact with customers. Even website traffic can be given a significant boost. What Are Social Media Networks Used For? The majority of adults are present in one social network or the other. Moreover, a significant portion of time is given to social networks while people are browsing the internet. Consumers use social media networks for a variety of purposes. Some of them are given below. Recommendations are often given to friends freely via word-of-mouth. Social networks can also be used to gain information about products. Brands are often complimented in these networks. Incentives get shared through the social media channels. Many consumers use social networks to avail of customer services. Starting your campaign with social networks can seem like a daunting task. However, it is not a very difficult process. It will become easier when you can make use of some easy tips. There is no need to create a profile in all the social networks that you come across. Rather, you can create a profile in a couple or more of the most popular networks. Additionally, you do not have to spend the entire day with the social networks. In most cases, you will find that 15 to 20 minutes will be enough. In order to get the best results from your social media campaigns, you will require a strategy. Tips for developing such strategies are freely available over the internet. Although nobody likes to receive negative comments, they can still be invaluable for the growth of your brand. Negative customer feedback will help you locate the issues in your business that needs your attention now. Additionally, you can use those comments as an opportunity to showcase your customer services. This can be easily done by interesting with the customer and resolving their problems quickly. There are many things you can choose to post such as articles, tutorials and images. Of course, the posts should be related to your business and company. You can even start a conversation or discussion instead of posting something.